If you thought youth sports was getting more and more popular every year, here’s news for you. Quitting sports is fast catching up too. It’s like you enrol your toddler for professional sports training, the kid picks up well and looks promising too, the coach is happy, you are happy, and, as your kid and this star athlete grows to become a teenager, starts losing interest in the game and, one fine day quits. All your hopes, dreams for college and career shatter, and you cannot comprehend why. As per a poll conducted by National Alliance for Youth Sports, close to 70 percent of young athletes quit organised sports as they reach teen age. If you are a parent or a coach who’s facing a similar situation, or are anticipating it, here’s some advise to deal with it. Before you can convince or counsel the kid not to quit sporting career, you need to understand in dept why does the child want to quit. This can be both tricky and tedious at the same time. You need to patiently sit with the kid, with an open mind, ready to listen and not advise. The child will not open up instantly. There is a high probability that the kid tries to give you pseudo reasons just because she knows you will try to reason it out. But the trick is to keep listening, very patiently. The kid does not enjoy playing game anymore. It has become more like a routine, and as a part of growing-up, the kid seeks thrill and adventure, or maybe just plain fun. Too much of adult supervision, analysis and practice are nagging the child. Peer pressure. The kid is not getting time for socialising, missing out on birthdays and parties and has no free time for herself. She is scared that if she make a mistake, her parent or coach will shout at her or ridicule her, especially infant of other kids. Parents and coaches, who are obviously looking at the bigger picture, feel these points are too small to be considered. But the thing to be noted here is that these issues are big for the kid, big enough to compile the child to quit sports. Here are a few basic guidelines which can help prevent such a situation. Do not get obsessed with victory. Not every game can be won. Accept loses. This will encourage the child to learn to handle loses too. When the child looses in a game, don’t nag her with what she did wrong. Rather, when the heat of the moment has passed, you can have a ‘what we learned’ session, but that should be the start and end of that discussion. For all you know the kid is already in a lot of mental pressure dealing with the loss, and putting added pressure may have severe repercussions. Parents, especially if their child is playing well, tend to get obsessed with future dreams and aspirations. So much so, that their life revolves around it. Most kids hate this kind of attention, especially teenagers. Discuss game, when your kid wants to discuss it with you, do not talk about it overtime you see your kid. Let her have a social life as well. Give her the freedom to miss practice once in a while just to let her be with her friends. This way you can ensure that your child is not developing a social vacuum in her life. Do not be over critical of her. Do not advise her too much. For all you know she is already getting a lot of it from her coach, and any extra advise coming from you may land on her as nagging. Deal with mistakes rather sensitively. Mistakes are unintended (hence mistakes) and chances are that the child is already so guilty of her mistake. You need to understand the child’s psych, her state of mind. Sometimes it is best to deal with the subject later, when you are taking a review. Do not get agitated. Your balanced reaction will help her a lot by teaching her to have emotional control. In most cases, the above things taken care of, the child will not quit. Maybe it was a phase and the kid will move on. But, after having sensibly attended to the issue, the child still feels she wants to quit, you might want to consult the coach or seek professional help to try and understand her fears and concerns. Chances are, that you child does not have interest in sports. In that case it would not be very wise to emotionally coerce her into the field. Remember, a person will be successful and at her best, only if she’s doing what interests her, in what her passion lies. If it’s not sports then so be it. Accept it and move on, and let the child move on too. It’s time. You are ready to enrol your little one into youth sports. This involves a lot of homework, asking friends and acquaintances about different programs available in the neighbourhood, finding out about good sports clubs and coaches and so much more. Here are some tips to help you choose the best Youth Sports program for your kid. For any youth sports program, or for any sports program for that matter, ‘winning’ is an important element. But a coach’s focus cannot be on winning, the focus has to be on development and learning. There is no specific phrase that will tell you the coach’s way of handling for sure, but you will have to make your judgement by what the coach or the club tells you. For instance, aggressively focusing on their success stories might be a sign that you need to move on. Most coaches detest parent interference. But at the same time they are also aware that parents are desperate for update on their child’s athletic skill development. Find out if the coach is open to communication. 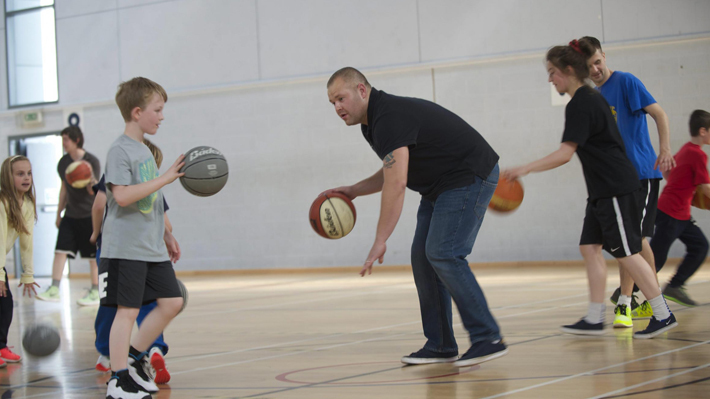 Ask if there are any parent-coach meetings, feedback or counselling sessions with the coach. Find out what procedure does the coach follow to settle parent or player grievances. Lastly, find out is the coach open to meeting up if a parent needs to. There are coaches who are so obsessed with the game that strategising, practising and skill improvement is all they’ll do. They do not allow any flexibility. If this is the case. Kids have less focus and limited attention span. If there is no recreation, the kid will wear out very soon. Plus kids must have the flexibility to socialise or take time out every once in a while. There are many other concerns you would have. It is recommended that you settle all your concerns before you commit to a coach or program. Since it’s not just your child’s athletic career that’s at stake, it’s also a huge time and money commitment also. So, take your time, settle your concerns, ask a lot of questions, observe before you choose the youth sport program for your kid. Being a sports parent is as is a high-commitment job; you follow tight schedules, commit to the extra spending's, keep control on lifestyle, diet, fitness routine and do so much more. And if you have a teenager athlete, all these commitments not just increase almost tenfolds, but come with a whole lot of drama and fuss. Most parents usually are not prepared for this and keep parenting a little kid. Result - problems and a lot of melodrama. And it’s not just the parent that suffers, the child suffers too, with the worst hurt being the athlete in your child. Here are a few tips for parents who are going through this rather bumpy ride and wish better, or for parents who wish to brace themselves before getting into it. Most parents feel that they can be the best coach or the best friend their child will have, and get into the role very seriously. But the bitter truth is that your child doe not need you to be a coach or a friend, they need you to be a parent. Provide support, understanding and the care a parent can give. You can be everything your child needs by being a good parent. There’ll be confusion, mistakes and weak moments, accept it! Your teenage kid is going through a lot, physically, mentally and emotionally, perhaps more than you can imagine. Losing focus, having a weak moment, losing interest, losing confidence, all of these will happen to your child. These things happen to all children, and if your child is going through any of these symptoms, be glad, your kid is going through the normal course of growing up. 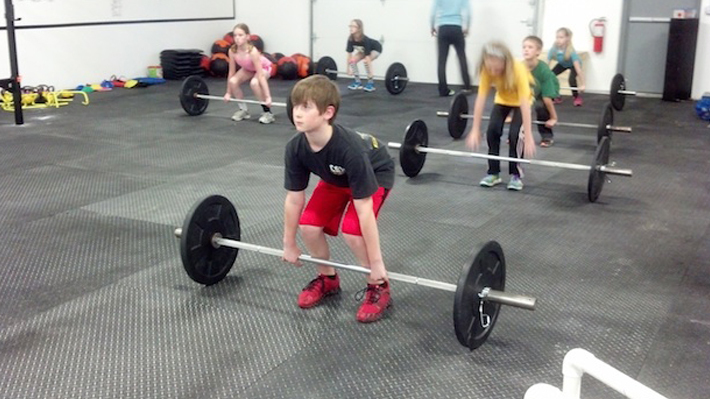 Don’t raise the bar of your expectations so high that the kid just finds it easier to give up. When one loses, there’s denial, anger and frustration associated to it. You should teach your child how to lose gracefully by teaching them the art of acceptance, learning and moving on gracefully. This will be one of the biggest life lessons that your kid will learn. 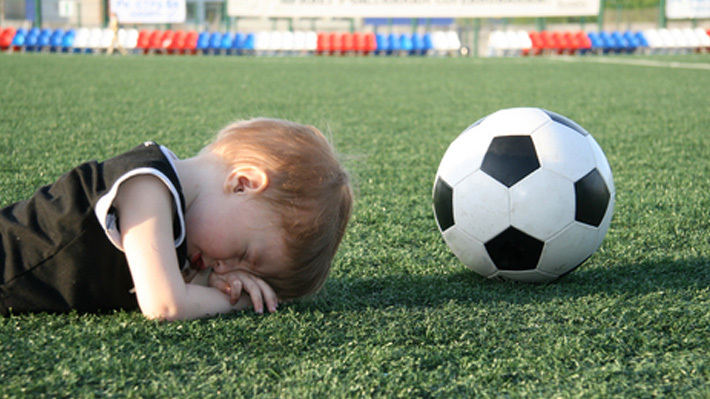 Have aspirations but don’t get obsessed with your child’s youth sports career. It’s important that your child gets the essential life lessons that playing youth sports gets. Getting to carried away with the career that youth sports can bring can create unnecessary pressure on the child ruining her interest in the game. On the other hand, if the child has that passion for something, never try and mellow it down. For, passion can get excellence that will drag success to your kids feet, but running after success is like running after mirage, you can never quiet get to it. Kids need a variety of nutrients and vitamins in their regular diet to help them grow properly and get healthy mind and body. Even if children are eating home cooked healthy meals, there is a good chance that kids are missing out on some essential nutrients. 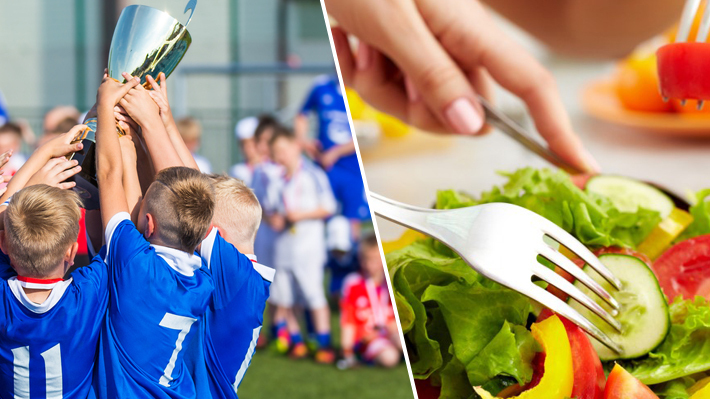 If you are a concerned parent, read on to find out how to provide healthy diet for your young athlete. This article has diet recommendations based on excerpts from articles and talks with health care and nutritional experts, although you might want to consult your paediatrician or dietician or even the team coach before you make any change in your child’s diet just to be sure you are doing the right thing. Experts believe that growing children, especially athletes, usually need nutritional supplements, preferably natural, to complete their body’s nutrition and vitamin requirement. Milk (preferably nonfat skim milk as it’s an excellent source of energy, protein, calcium, vitamins like vitamin D, Vitamin B, nutrients like iodine, phosphorous etc. Nonfat skim milk helps children achieve proper growth by helping strengthen bones, teeth and muscles. Yogurt is a natural source of good bacteria or probiotic bacteria that helps regulate the digestive system, effectively controlling common digestive problems like gas, acidity, stomach bloating, diarrhoea and constipation. Fresh fruits and vegetables as they are the best natural source of a variety of vitamins, fibre, antioxidants, phytonutrients etc. Different fruits and vegetables provide different nutrients so it’s recommended that you serve a different fruit everyday or make a bowl of fresh fruit salad or parboiled/fresh vegetable salad. Non vegetarian food like meat, chicken, fish, seafood and eggs are an excellent source of protein, iron and other nutritional essentials like B Complex vitamins especially B12, which boosts immunity. Grains and cereals are also packed with essential nutrition along with fibre, carbohydrates, minerals and antioxidants. research has proven that consuming whole grains and cereals on a regular basis reduces the risk of chronic conditions like heart disease, type II diabetes, obesity etc. it also helps the body’s immune system become stronger. Whole grains are packed with nutrients, including protein, fibre, B vitamins, antioxidants, and trace minerals (iron, zinc, copper, and magnesium). A diet rich in whole grains has been shown to reduce the risk of heart disease, type 2 diabetes, obesity, and some forms of cancer. However if your child is a poor eater or a picky eater, you would need to add food supplements to their diet. There are vitamin supplements and health drinks available in the market that can be added to the child’s regular diet, however, it is always recommended to consult a professional health care expert as excess of some minerals can also be bad for the body. Avoid fast food, convenience food, processed food all types of junk food. Practically, children won't give up on it totally, but keep a close check on the frequency of consumption of such food. Avoid soda, encourage your child to take water instead. Soda not only replaces water’s urge but also depletes essential minerals and vitamins fro the body. Do not give your child vitamin supplements unless prescribed by a practicing medical professional. Body eventually looses the tendency to create these vitamins naturally if the synthetic version is readily available. Multi-vitamin supplements or health drinks or probiotic drinks are good, but you must consult an expert just in case there is a specific requirement for your child.